I am happy to announce that I made the top 5 for Best Of SA! ( Hair Salon and Barber shop category). Please vote today and everyday untill June 29th 🙂 You may vote once a day everyday per email. Step 1. Scroll down to find Barber shop and Hair Salon. Click Hair By Eileen . Step 2. Please login with your email for your vote to count. 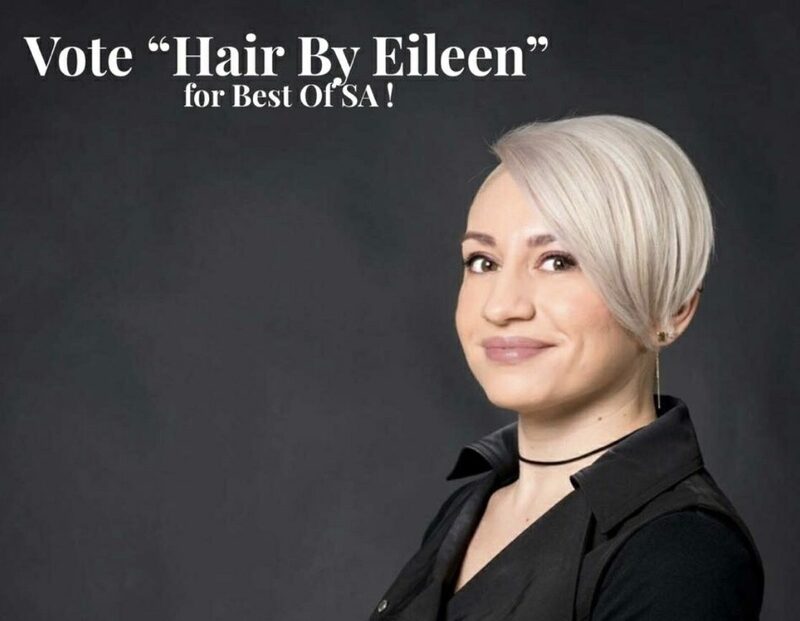 My vote is for Eileen!